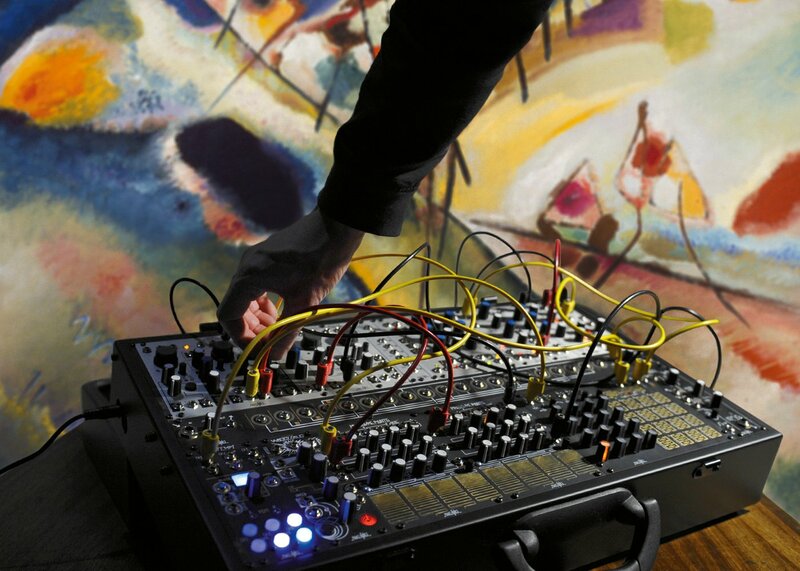 For three nights in January the Art Gallery of NSW presents Masters of modern sound, an after-dark experience of art, space and sound with performances by leading Australian and international composers, musicians, sound designers and dancers. 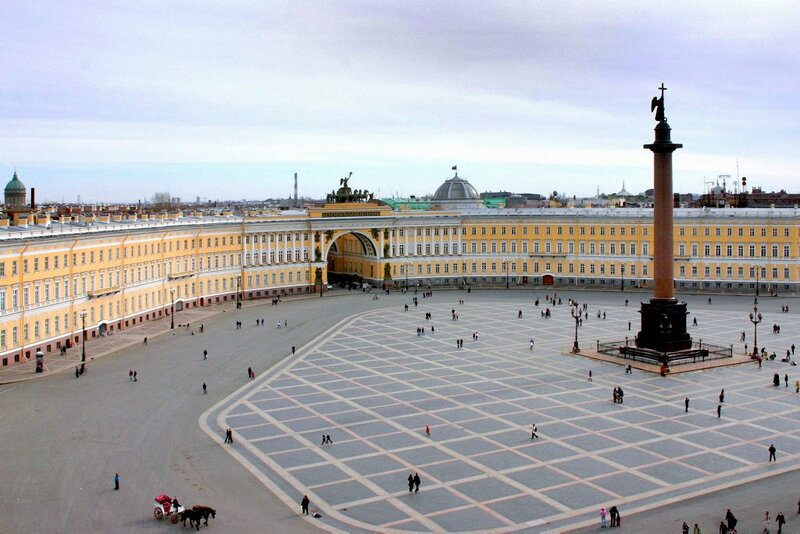 The State Hermitage Museum in St Petersburg is one of the world’s great encyclopedic museums. At its heart is the Winter Palace, once the official residence of Russian emperors, whose first occupant, Catherine the Great (1729–96), assembled what was then one of the largest and most important collections of paintings in the world. Over the years, various buildings were added and the collection expanded. Today, the giant yellow General Staff Building is home to the Hermitage’s unsurpassed holdings of impressionist, post-impressionist and modern paintings. Colour is the keyboard, the eyes are the hammers, and the soul is the piano with many strings. The artist is the hand that plays, touching one key or another, to cause vibrations in the soul. 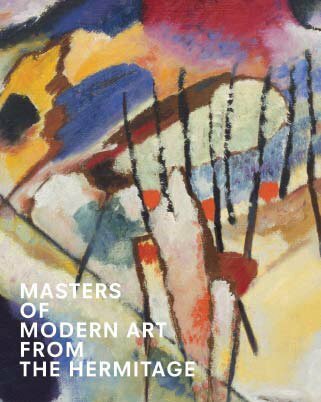 Master works of the French avant-garde were brought to Russia at the beginning of the 20th-century by two passionate and canny private collectors, Sergey Shchukin and Ivan Morozov. Cézanne: the first true modern? ‘Painting from nature is not copying the object’, Paul Cézanne wrote, it is ‘realizing one’s sensations’. Cézanne was in a kind of dialogue with the impressionists. Like them, he continued to paint traditional subject matter but he explored it in ways that many of his contemporaries found odd or even shocking. Cézanne’s analytical approach to nature and his way of building form with colour were at odds with his impressionist friends. They sought what was fleeting in nature; Cézanne searched for its eternal essence. 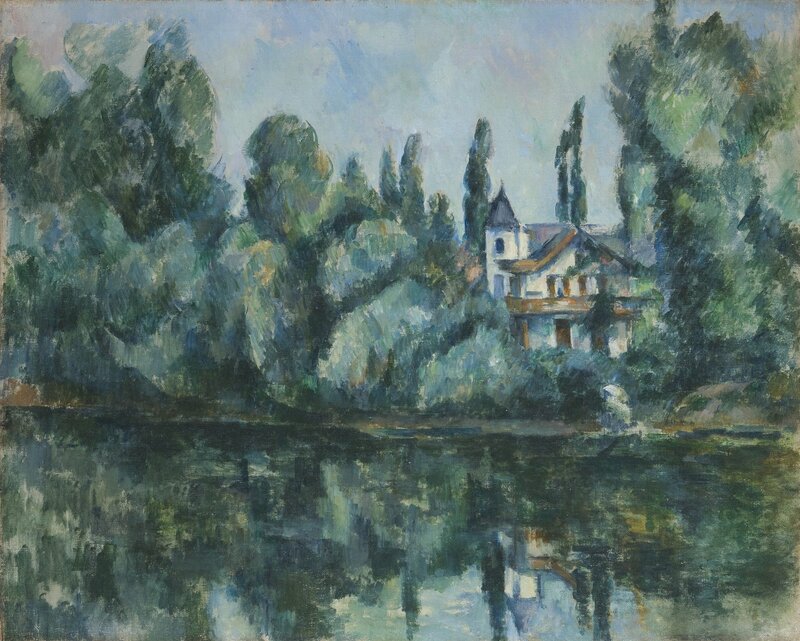 Where the impressionists saw water as best able to refract light and reveal movement, in Cézanne’s painting ‘Banks of the River Marne’ there are no ripples and everything is still. Where the impressionists saw change as representing reality, Cézanne concentrated on the relationship of objects. He saw the world as a plane uniting all the essential underlying connections of the universe. Can Cézanne’s influence on the development of Western modernism be overstated? The collectors Shchukin and Morozov came to believe that he was the first true modern, and his influence can be detected in the works of so many artists, including Henri Matisse who once called Cézanne ‘a sort of god’. Sergey Shchukin’s collection of works by Paul Gauguin was unrivalled. He filled his dining room with the artist’s paintings, hung closely together to form a wall of what looked like golden icons. To a Russian like Shchukin, a wall of icons symbolised the Heavenly Kingdom, a world of saints and angels, so it must have seemed a suitable form for a display of Gauguin’s ‘exotic’ peoples and their spiritual beliefs. Gauguin travelled to Tahiti twice in search of what he called a ‘primitive paradise’. ‘The month of Mary’ was painted during his second stay. Its direct reference was a sculptural relief from the temple of Borobudur in Java, a photograph of which Gauguin carried around with him. But it also refers to the Virgin Mary and reveals Gauguin’s desire to unite traditional Christian motifs with his own ‘primitivist’ mythology. 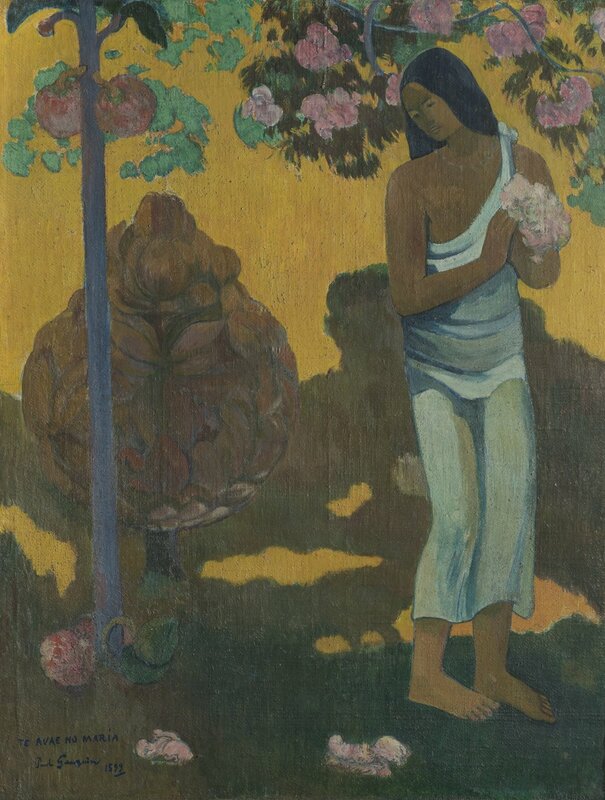 Gauguin was constantly striving to develop a new style. He started out showing with the impressionists, working closely with Pissarro. Then he went through a phase of admiring Cézanne above all others. He continued his move away from impressionism and wanted to ‘synthesise’ his approach to nature with feeling, to create a symbolic register of flat patterns and pure colour. Later, he would be called a ‘post-impressionist’, one of that generation whose work derived from, and reacted to, impressionism. Drawn from the unparalleled collections of the State Hermitage Museum in St Petersburg, the exhibition presents some of the towering figures of modern art. It captures the ebullience, idealism and confidence of artists as they freed themselves from tradition. Documenting the seismic shifts that took place in European painting in the years after 1900, it encapsulates a defining moment in art history. 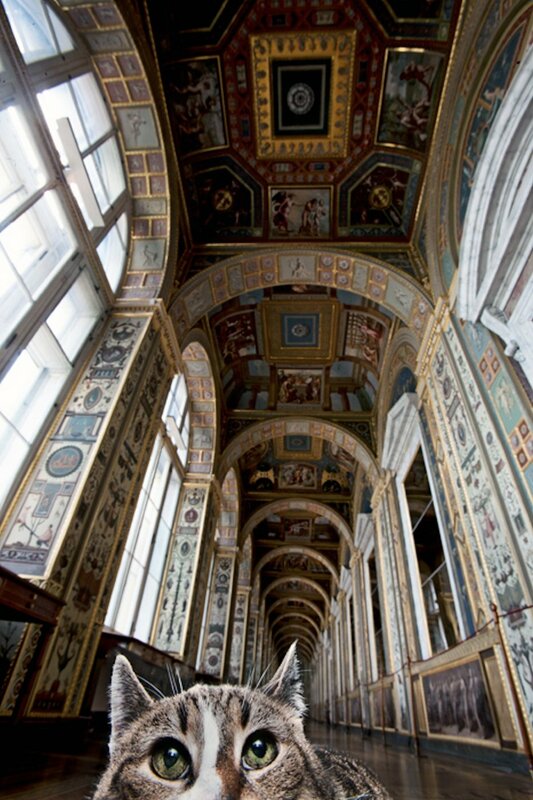 The Hermitage doesn’t just house some of the world’s greatest artworks. Around 70 well-cared-for cats live in the basement of the Winter Palace and around the grounds, ostensibly to protect the art from mice and rats. Feline security guards have stalked the halls since at least 1745 when Empress Elizabeth issued a decree for suitable rodent-catchers to be sent to the palace from Kazan (along with someone to look after them). Today, a different band of kitties (no relation) is a tourist attraction in their own right, celebrated at the annual Day of the Hermitage Cat, and looked after by museum volunteers. One of them – Achilles, a deaf white cat said to have psychic powers – became famous for his predictions during the 2018 World Cup football competition in Russia and has his own Instagram account @Achillcat. Sergey Shchukin’s son Ivan once recalled his father saying of Pablo Picasso: ‘This is the future’. Shchukin went on to amass some 50 Picassos that he would later hang all together in their own room in his Trubetskoy Palace. He seemed bewitched by the artist and spent long hours – sometimes weeks – letting new works speak to him until he understood them. It can’t have been easy: cubism was a rupture, breaking all ties with the past and rejecting all accepted painterly values. Shchukin was introduced to Picasso in 1908 at the Bateau-Lavoir in Montmartre by his friend and art advisor, the artist Henri Matisse. That same year Shchukin first saw Picasso’s revolutionary ‘Demoiselles d’Avignon’. 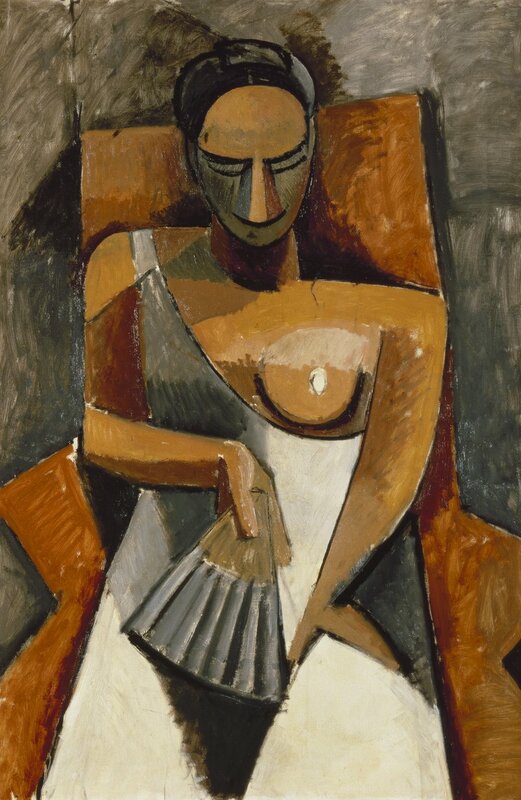 He was reportedly shocked, but he later bought a work that issued directly from it: ‘Woman with a fan’.